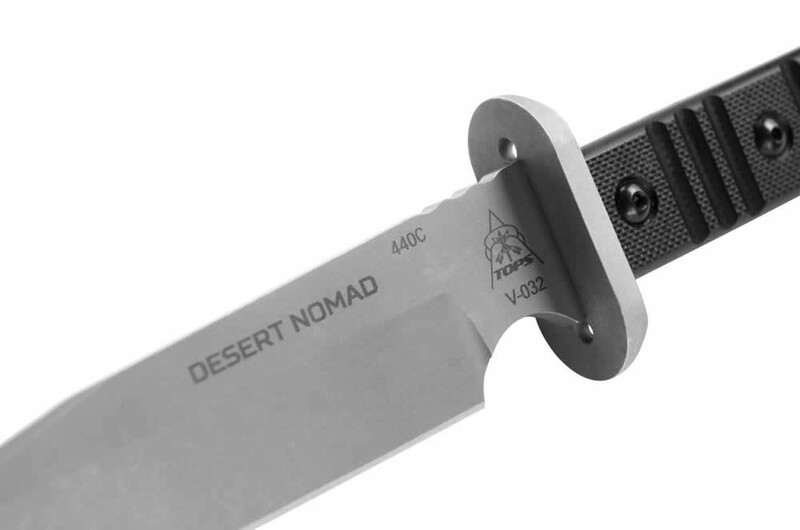 The Desert Nomad is ready to roam. 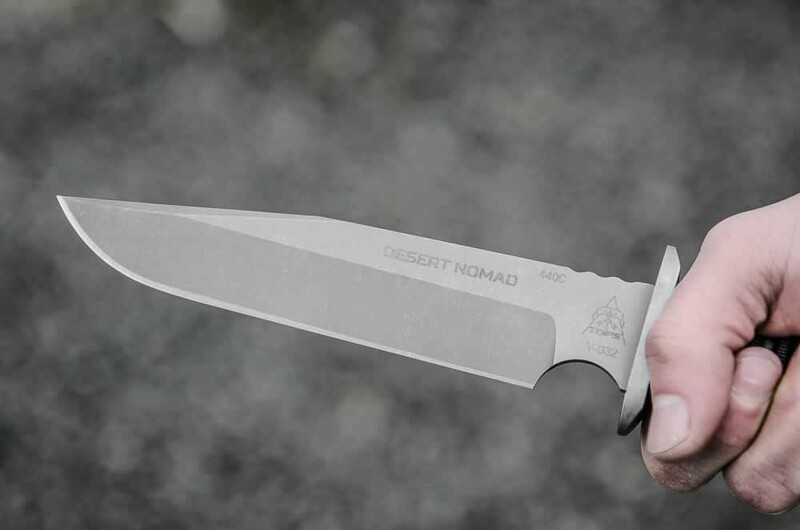 The Desert Nomad is ready to roam. 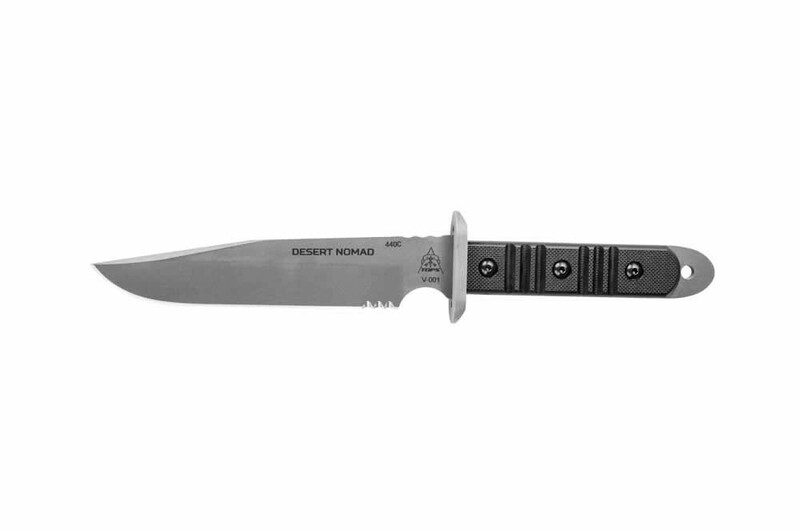 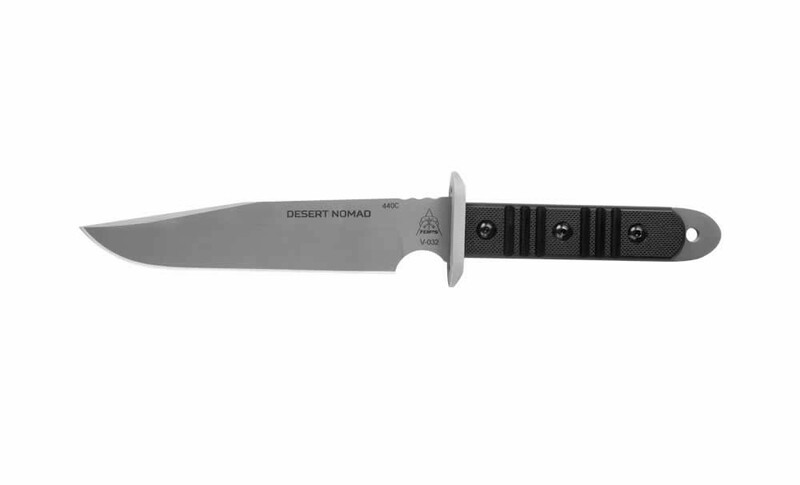 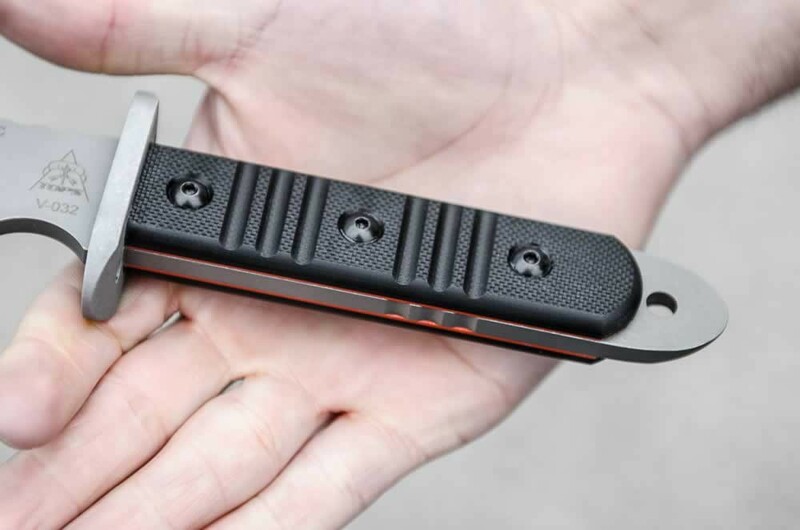 This combat-oriented knife has a lot of smart features in a light package. 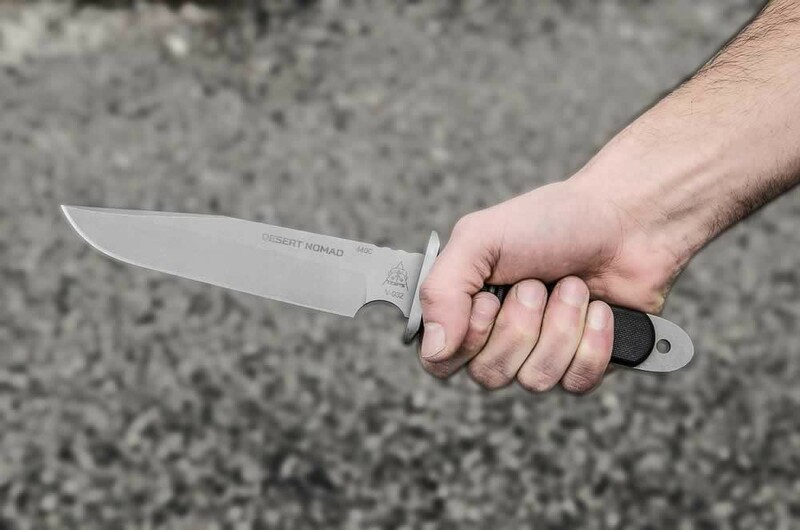 440C stainless steel makes maintenance a breeze. 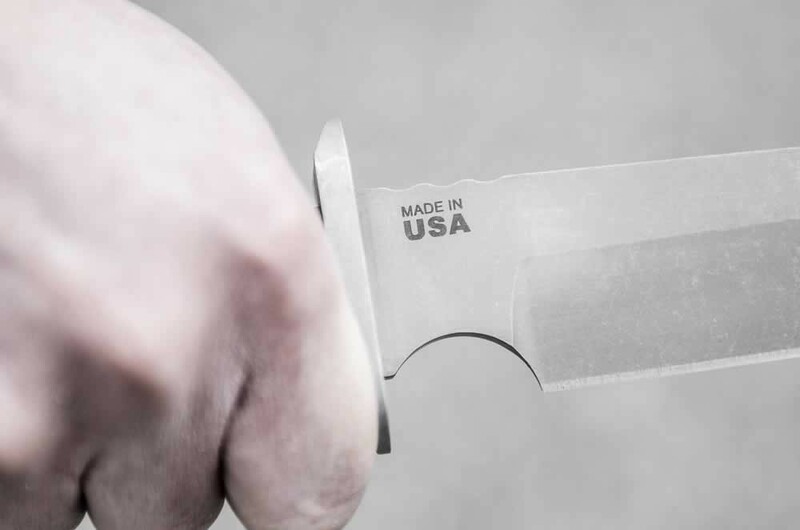 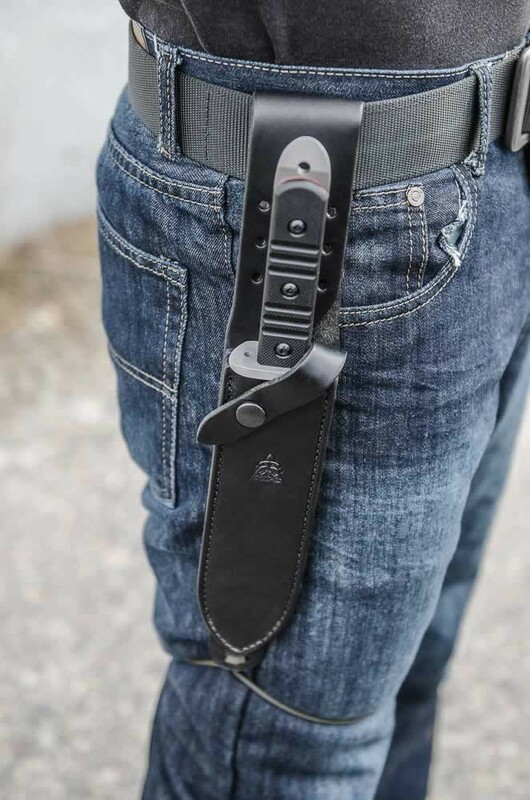 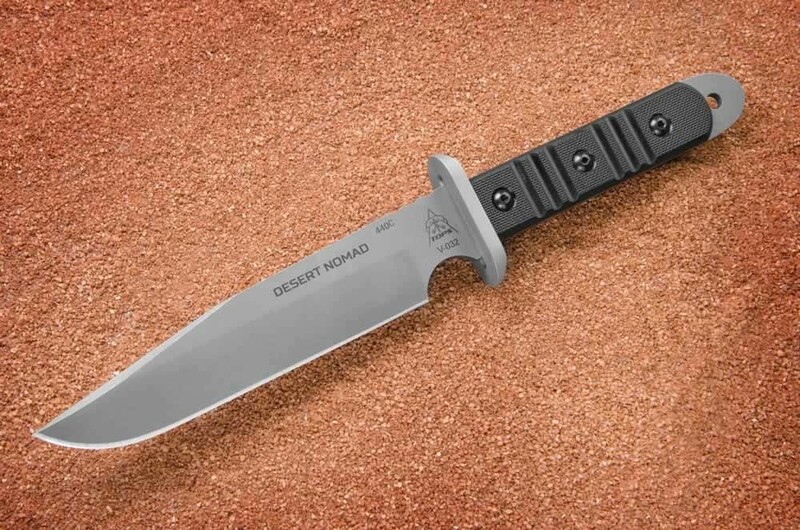 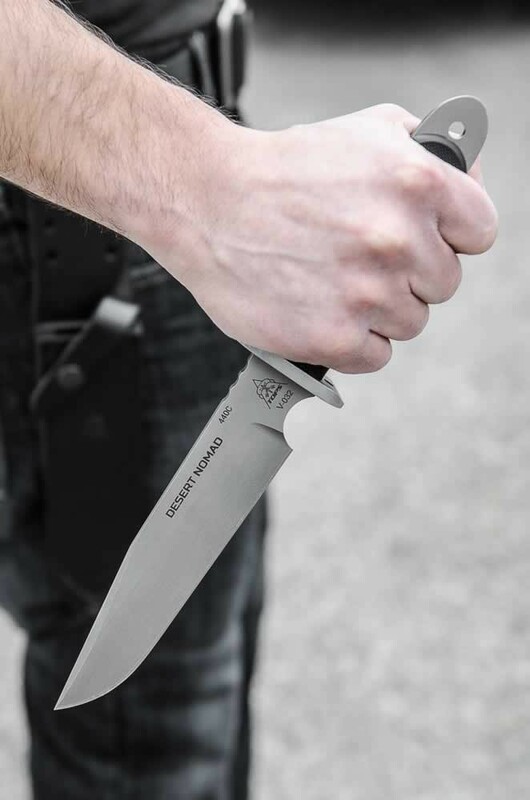 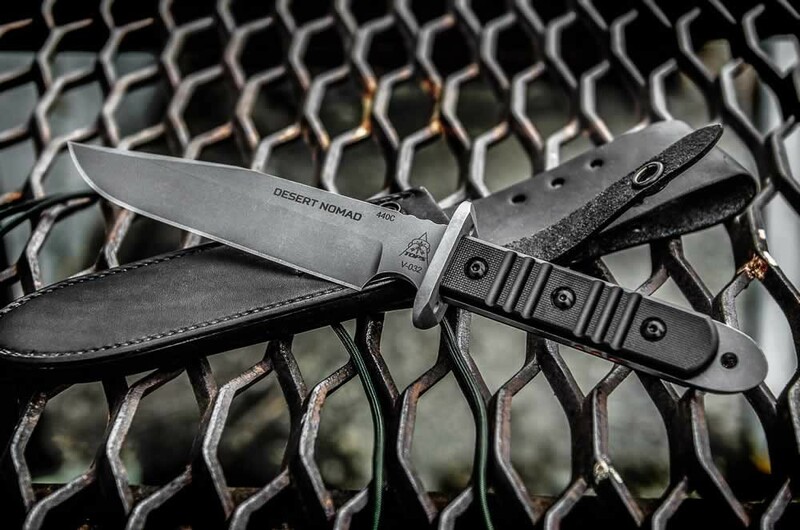 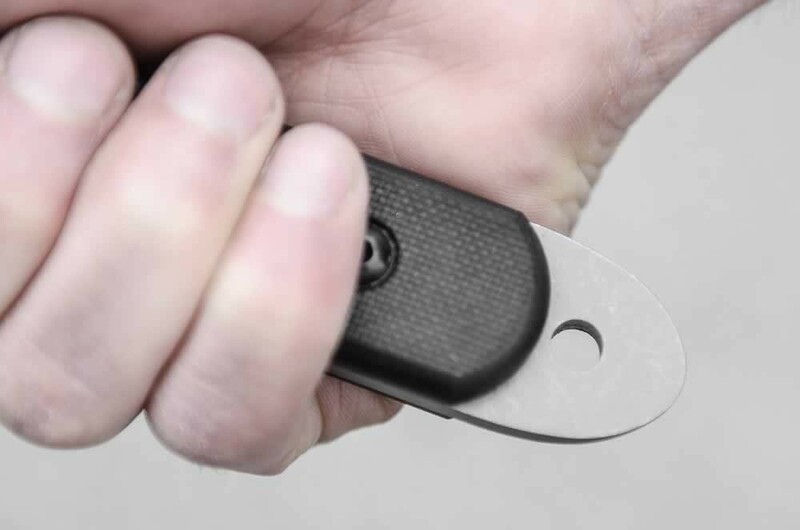 The aluminum bolster (made from 6061 T-6 aircraft aluminum) not only protects the hand from slipping onto the blade, but can protect the hand from the knife of an attacker as well. 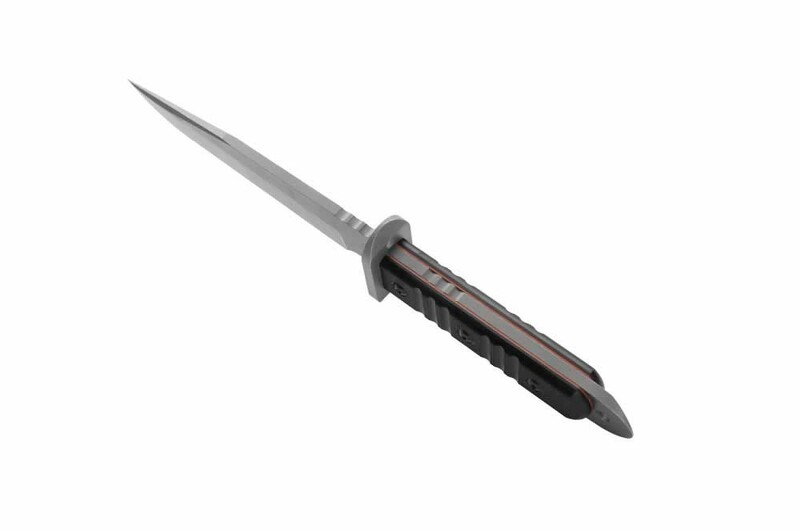 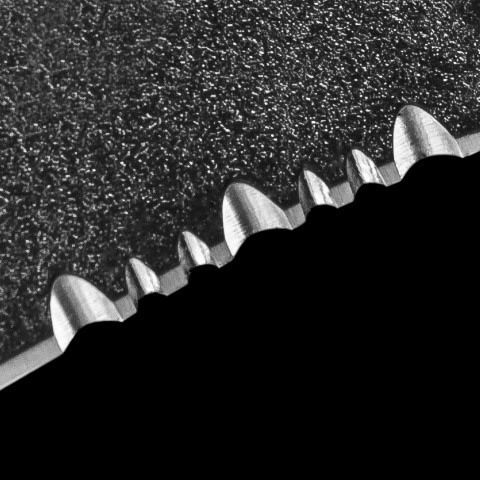 The slight clip point with swedge gives great penetration power. 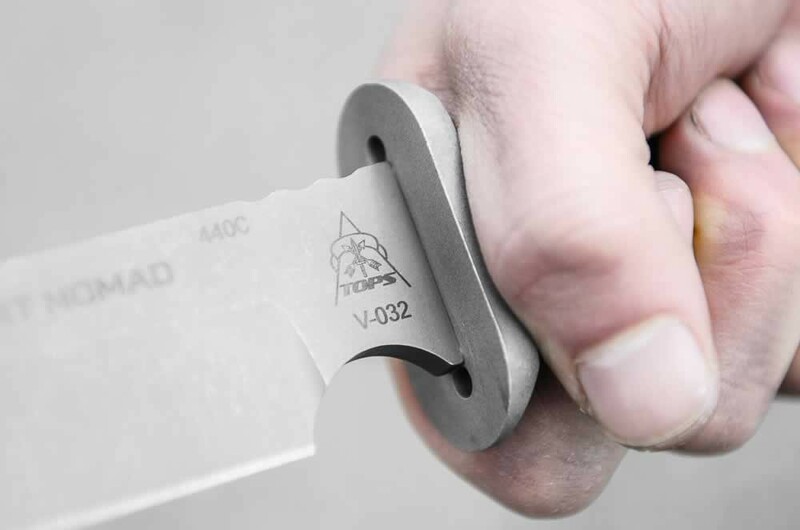 It’s lightweight and nimble, which makes it easy to carry and great for quick slashing cuts. 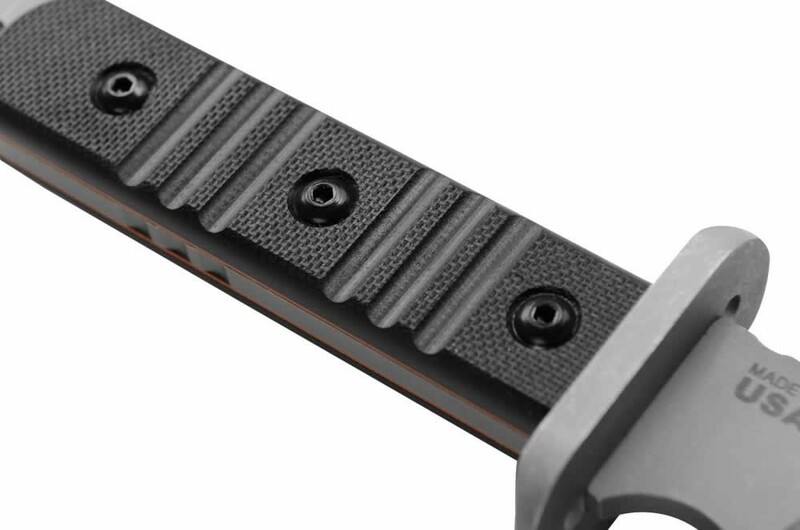 The splitter on the back gives the user another strike option in a defense/combat situation. The G10 handles have traction to provide a solid purchase on the knife. 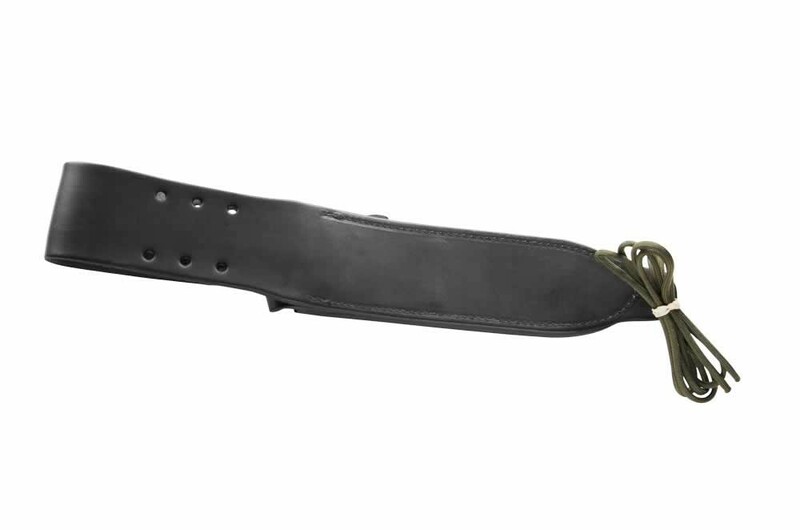 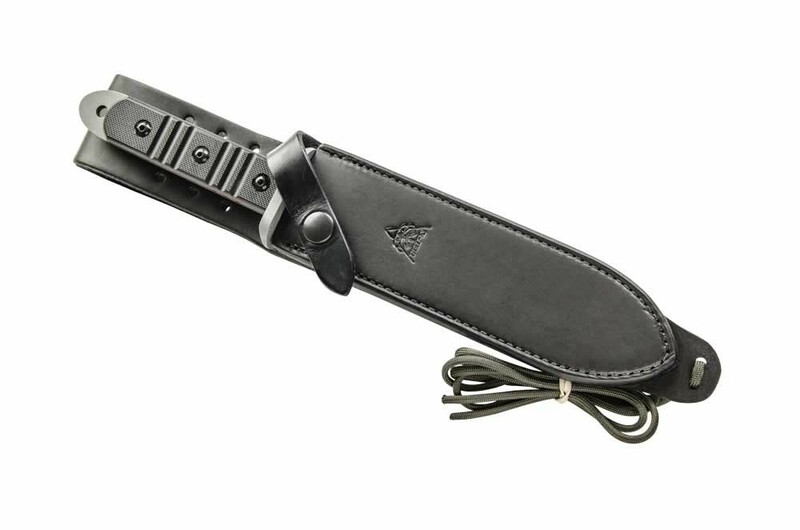 Finish it off with a secure black leather sheath for a quieter draw than nylon or Kydex. 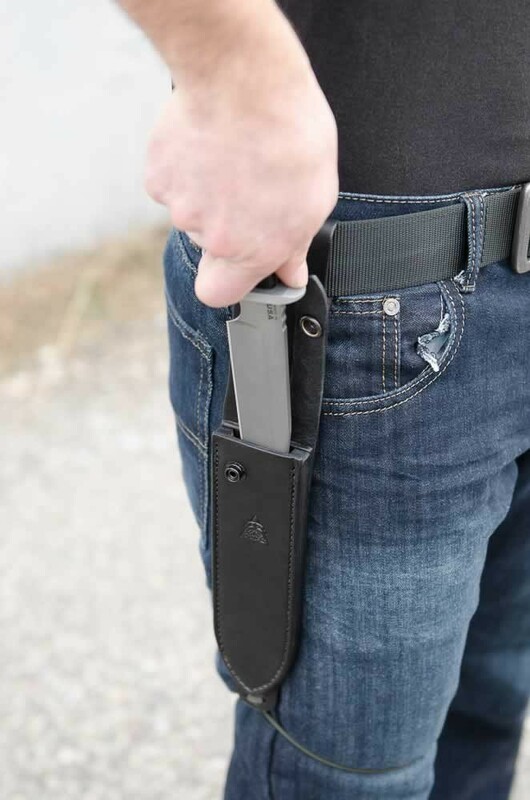 Add that all together and you have a tool that is perfect for entry personnel like SWAT teams and certain military operators.